Much more and much better than just a spec sheet! 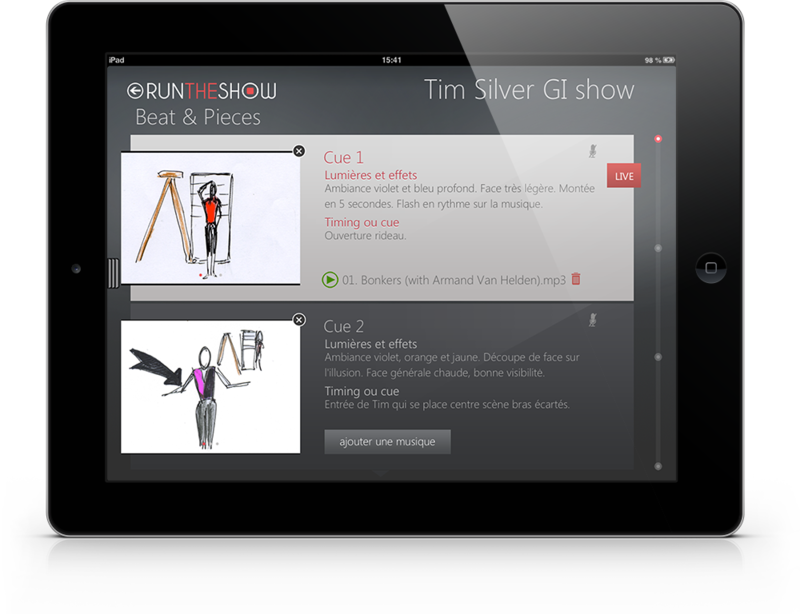 Run the Show is the ultimate tool for stage managers or live performances technicians. Spec sheets, precision timing during shows or acts, music triggering, red flags on crucial cues, note taking… Everything needed to assure technical control and to guarantee no loss of pertinent information.. 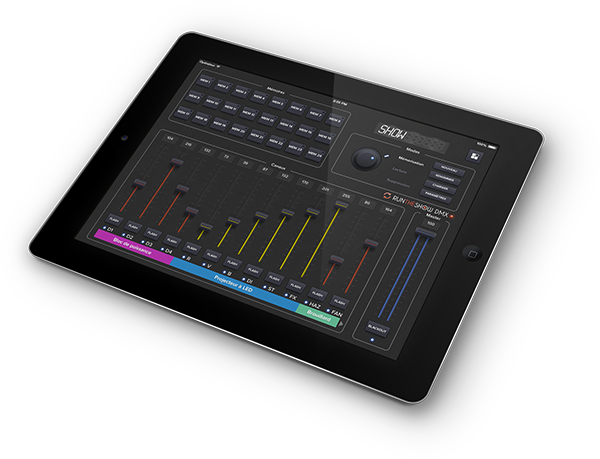 The RTS DMX 512 Box is a DMX / WIFI interface controled by the application «Run The Show DMX». - One full DMX universe (512 channels). - Plug and Play: connect, it is ready to work. - Dedicated network protected by WEP key. The box contains its own router. - Up to 20 meters range. - Work with any iPad from the iPad 2 under iOS6. 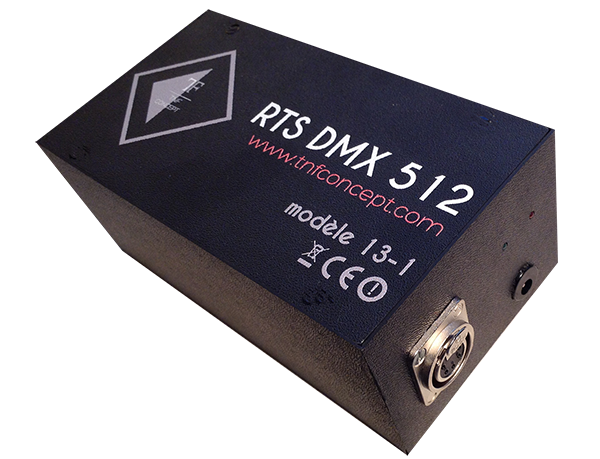 Dedicated to control the DMX / WIFI RTS-512 Box, this application offers high performances to everyone. 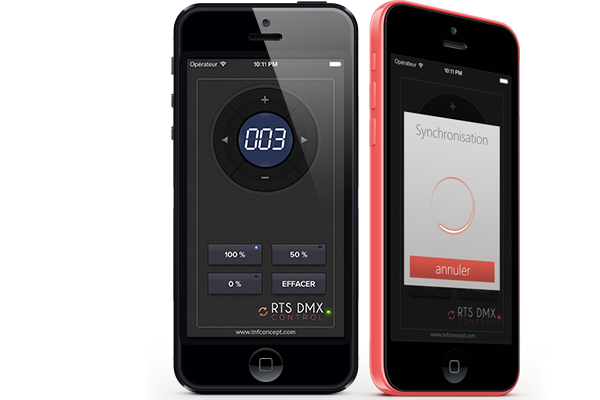 A DMX Remote Control on your iPhone! RTS DMX Control can control, individually or in ranges, every projector installed. A very easy to use and fast interface to control DMX channels with only one hand for the lights when you are on top of a ladder! Copyright © 2013 TNF Concept - All RIghts Reserved.